If one region of the world switches its research effort from dirty to clean technologies, will other regions follow? 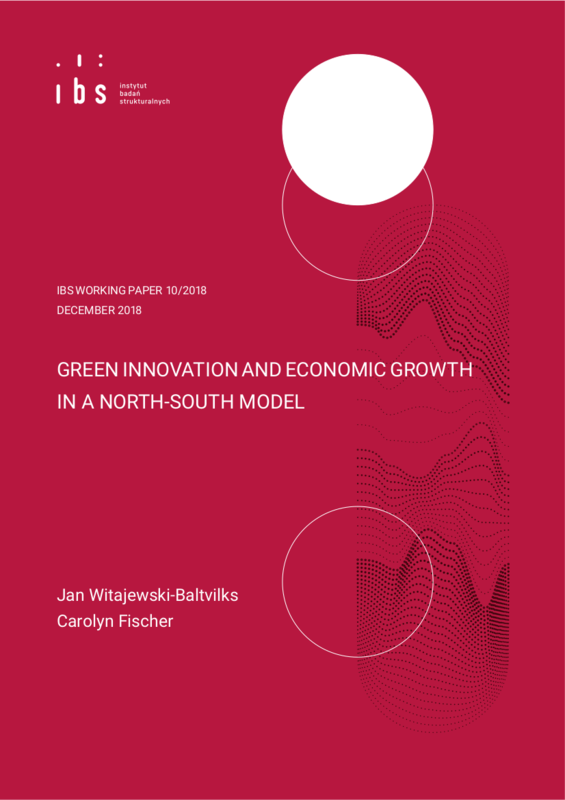 To investigate this question we built a North-South model that combines insights from directed technological change and quality ladder endogenous growth models. We allow researchers in the South to create business-stealing innovations. We found that (i) after the North switches from dirty to clean technologies, the growing value of clean markets will motivate technology firms in the South to follow the switch; however this result is conditional on the North being sufficiently large. (ii) If the two regions invest research effort to different sectors and the outputs of the two sectors are gross substitutes, then the long run growth rates in both regions are smaller than if the global research effort were to be invested in one sector. (iii) If the North switches to R&D in clean technologies, the benevolent central planner in the South would ensure that all South R&D switches too, unless the planner’s discount rate is high. additional information: We thank Inge van den Bijgaart, Piotr Lewandowski and participatns of the EAERE17, AERE17, IEW17 and WCERE18 for their valuable comments and suggestions. The research leading to these results has received funding from the European Union Horizon2020 under Grant Agreement No. 642260. The usual disclaimers apply. All errors are our own.